Bernadette (Caron) Morneault, 79, passed away at her home on July 7, 2018, after a courageous battle with pancreatic cancer. FORT KENT, Maine — Bernadette (Caron) Morneault, 79, passed away at her home on July 7, 2018, after a courageous battle with pancreatic cancer. Bernadette was born on December 8, 1938, in Fort Kent, Maine. 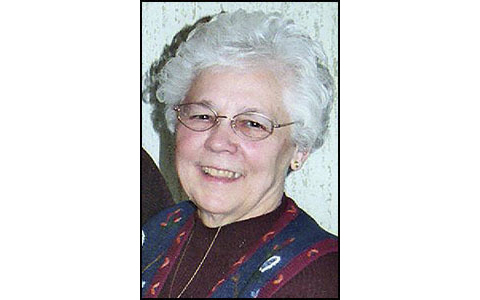 She is survived by her devoted husband of 62 years, Lewellyn Morneault, of Fort Kent, three daughters, (Mary) Jane Morin and her husband, Paul, of Fort Kent, Linda Cyr and her husband, Reno, of Fort Kent, and Nancy Peters of Terryville, Connecticut, and one son, Steven Morneault and his wife, Susan, of Terryville, Connecticut. She was immensely loved by her 10 grandchildren, Shelly Pelletier, Benjamin Cyr, Kathryn, Jonathan and Thomas Morin, Kristen and Samantha Peters, Hunter, Logan, and Ava Morneault, and her three great-grandchildren, Hannah and Dylan Pelletier and Zoe Peters Reardon; as well as her two sisters, Yvette Michaud of Torrington, Connecticut, and Rita Taker of Inverness, Florida, and her much loved younger brother, Paul Caron of Fort Kent. She was predeceased by her parents, Paul and Yvonne Caron of Wallagrass, Maine, her brothers Leo, Roger, Harold, and Henry Caron, her sister, Annette Michaud, and her special son-in-law, Michael Peters. In keeping with Bernadette’s wishes there will be no visiting hours. A Mass of Christian Burial will be celebrated at 10 a.m. on Saturday, July 14, 2018, at the St. Louis Church in Fort Kent. In lieu of flowers, donations can be made to the Edgar J. Paradis Cancer Fund.